Accent your shabby chic decor with this 9x14 rectangular accent pillow. 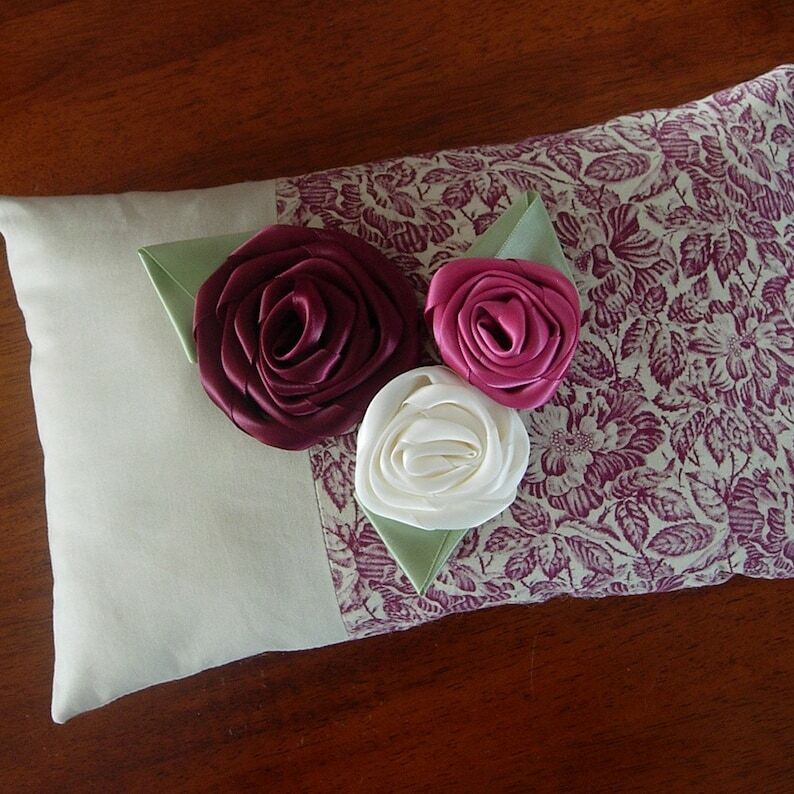 Adorned with handmade ribbon roses in burgundy, pink and ivory, will make a beautiful addition to your decor. • Intended for indoor use only.